1 What is the wormhole campus? 6 What Can I Do in WHC? 10.1 What Are Bacon, Eggs and Innuendo? What is the wormhole campus? C2 wormhole with both a highsec static (allowing easy access to kspace for classes and logistics) and a C3 static (for ISK making and PvP opportunities). The WHC is overseen by the Director of Special Projects. In the event of other issues or problems with people please contact the Student Advocate. Once you have met the requirements above and are ready to try out wormhole life, follow the instructions below to be invited to join the WHC. NOTE: Receiving the "[X]" title will cause you to not be able to participate in the campus. And if you are already in when you get the title, you and your alts are required to leave. Important: Due to the dangerous nature of PvE and PvP in w-space, and the mechanics of Ship Maintenance Arrays allowing access to all ships in storage, any ship and pod brought into the campus is to be considered lost or stolen. Do not fly what you can't replace. This section lists skills and ships that, while not required, can increase the amount of roles you can fulfill while in the campus. Astrometrics 3 4 Each level of astrometrics improves your ability to scan. Astrometric Rangefinding 0 3 Each level increases your scan strength. Astrometric Aquisition 0 3 Each level increases Scan speed. <Racial> Battlecruiser 3 4 Apart from HACs and Strategic Cruisers BCs are the best ships to fly in wormholes. <Racial> Cruiser 3 5 Cruisers are a crucial steping stone towards a T3, AHAC, Heavy interdictors, plus they are cheap. Salvaging 3 4 Sleeper Battleships require IV. Note that salvage rigs increase salvaging efficiency by one skill level each. Hacking 3 4 Data Codebreakers Are used in Data sites, the skill increases the HP [Hit points] of your virus. Archaeology 3 4 Relic Analyzers Are used in Relic sites, the skill increases the HP [Hit points] of your virus. Covert Ops 3 4 To be able to Cloak while scanning and also to make the CPU requirements less. The above are merely suggestions for being useful during your first few weeks in system without investing too many resources in the endeavor. Once you are more comfortable with day-to-day operations and better understand the risks involved, you may consider bringing in more specialized or expensive ships and equipment. What Can I Do in WHC? Scan, scan, scan! Everything in W-space needs to be scanned down. Probe the chain, scout new connections, observe our neighbours, picket a hole if you are not doing anything. Do not sit at the POS and wait for stuff to happen, content, whether PvP or PvE is created by You! Members active in the campus must be in the WHC fleet. If there is no fleet advertised, you may form one, and put up an advert so others may join. Wormhole Campus mumble is an event chat, so you may join mumble if you are not actively participating in the fleet, however you MUST follow combat comms when active. Help your fellow campers learn. This is an on-going educational event. Lesson opportunities override all else. Adhere to all EVE University Rules. Fly what you can afford to lose. PvE loot is property of the group who agree to rat or run sites together. The campus offers a loot hauling and selling service at a 5% cut which goes to fuel and other operational needs. See below for more info. Campus communications are by default “OPEN COMMS”. You may not enter the Wormhole Campus Mumble Channel unless you are a campus member, Eve Uni Staff, Manager or Director. You will most likely be asked to leave and then kicked. When first entering the campus mumble, please wait at least a full minute before speaking, unless it is very urgent. Campus may move to “Open Command” or "Closed Comms" if there is a threat in the immediate location or if a local QRF has formed. Groups of students operating in the Wormhole chain may remain in the main campus mumble. Operations in Known Space must move to a separate ILN Fleet mumble channel. Moving to a separate fleet from the campus is recommended but not required. We operate on a "built for purpose" foundation. If you are hunting someone in particular, or are operating a constant operation hunting targets, join a separate mumble channel (or fleet as a whole) until you accomplish your goal or disband the initiative. This helps organize our fleet and keep comms clear for those who need it. Ensure that the CHA and the SMA have space for the assembled hull. Drag ship from hauler into accessible tab within the CHA. WHC uses the E-UNI Jabber server and it's own password-protected WHC channel. More information is here:WHC Jabber. You may subscribe to pings from the mapper. Bookmarks are the only way we can navigate Wormhole space, as such they need to be named so that we can understand them. Be sure to check WHC Bookmarking Scheme to find out what the naming scheme actually is, or if you just need to check something. What Are Bacon, Eggs and Innuendo? Bacon is Our C3 static coming off from our wormhole. Eggs is our Highsec Static coming off from our wormhole. Innuendo is our home system, the one with all our posses. System numbers correspond to when we discovered them. ANY W-Space connection off bacon is prefixed with "B". ANY W-Space connection off eggs is prefixed "E". ALL K-Space connections are prefixed with the appropriate letter. All numbers remain unique. So "BH2" and "EH2" shouldn't exist together. Otherwise find the first number that is unused for the type of space it is. If there are no other systems of that type of space, use 2. You can this link for additional information on Living in Wormhole Space. 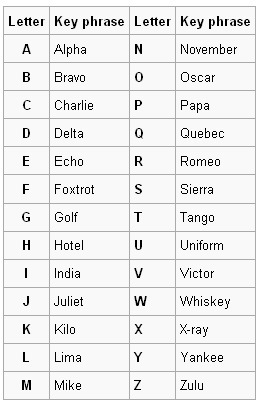 Nato Alphabet - We use this to say the sigs that we need to warp to. It just makes it easier to understand if you have an accent for example. Camp leadership operates a loot hauling and selling service. You will be payed later but you won't have to haul loot through wartarget riddled K-Space. WHC takes a 5% cut for operational costs and distributes the rest based on income. This page was last modified on 27 June 2018, at 13:30.